The resurrection of Jesus is an objective historical fact that Bible-believing Christians everywhere affirm. However, some of these same believers fail to experience the personal power of the resurrection which gives victory over sin’s hold, the flesh’s pull, and the devil’s temptations. For them, the resurrection is doctrinally true, but personally irrelevant. 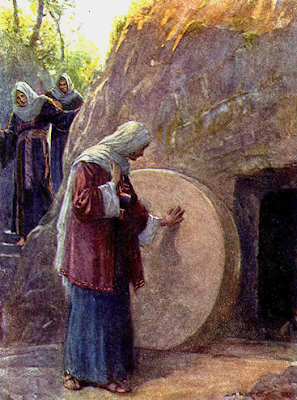 In liberal circles, the resurrection is re-defined as a spiritual encounter with Christ. 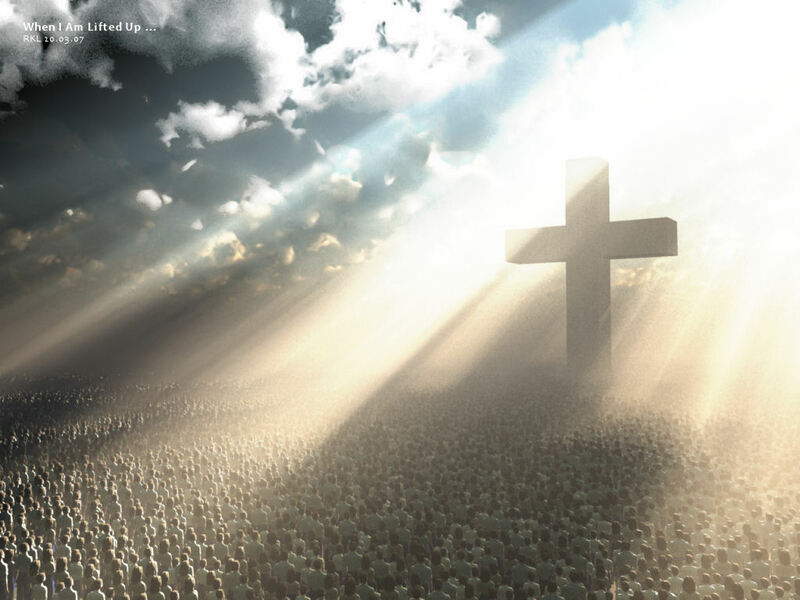 For so-called Progressives, the resurrection is a myth which proclaims God’s victory over the tragedies of this life. Liberals affirm the resurrection without necessarily believing that the event actually took place in space and time. For them, the resurrection is a spiritual experience, not as a true historical event. For both, the conservative and the liberal, the resurrection of Christ is religion with outward appearance, but no personal reality. One knows the truth with no personal experience, the other relies on feeling with no substance. Both views fail for Christianity is a head and heart faith. On one hand, the resurrection is a fact to be believed. On the other hand, it is an experience to connect with. If you have one without the other–if you believe in the resurrection as historical fact but never experience the resurrection personally, or if you think of the resurrection as a spiritual experience but don’t believe it was a fact–you come out with a form of religion with no power. Christianity says that if you want to experience God, you have to believe the truth. You have to believe that he really lived, that he really died, that he was really raised. And if you see that truth and believe in it, it leads to an experience, which leads to more understanding of the truth, and the truth leads to more experience. Tim Keller, “Knowing the Experience of His Resurrection,” Jesus, Keep Me Near the Cross, ed., Nancy Guthrie (Crossway, 2009), 132-133. This entry was posted in Easter, Resurrection, Tim Keller and tagged Easter, Resurrection, Tim Keller on April 19, 2014 by GlennDavis. In Roman law, the patriarch of the family (pater familias) who did not have an heir could engraft another male into his family line by adoption. The adopted son would have all the rights and privileges of a biological child. The family’s leadership, business, finances, reputation, etc., would all pass to this adult male son who had been given this new status as heir of the family. In spiritual terms, adoption is the act whereby God makes his people his children, members of his family (Eph. 1:5). By spiritual adoption, believers are accepted in Christ and thereby receive all the riches of Christ’s work and glory. Adopted status belongs to all who receive Christ by being born from above (John 1:12). Our adopted status means that in and through Christ, God loves us as he loves his one and only Son. The Lord chooses to bless us now with Christ’s spiritual riches and will share with us all the glory of Christ in heaven (Rom. 8:17, 38–39). We are adopted into God’s family through the resurrection of Christ from the dead in which he paid all our obligations to sin, the law, and the devil, in whose family we once lived. Our old status lies in his tomb. A new status is ours through his resurrection. Sinclair Ferguson, Children of the Living God (Carlisle, PA: The Banner of Truth Trust, 1989), 37. This entry was posted in Adoption, Resurrection, Sinclair Ferguson and tagged Adoption, Resurrection, Sinclair Ferguson on April 7, 2012 by GlennDavis. When Christ returns, he will raise from the dead the bodies of all believers who have died in Christ since the beginning of time (1 Thes. 4:15-18). Jesus will reunite these bodies with their spirits which have been residing in heaven (Phil. 1:21, Dan. 12:2-3). Also, he will change the bodies of all those believers who are alive, giving them glorified bodies. Therefore, all believers from all time will have perfect resurrection bodies just like their Savior. The resurrection of the dead is the final work of God in applying Christ’s work on the Cross to our lives and to creation (1 Cor. 15:50-57). 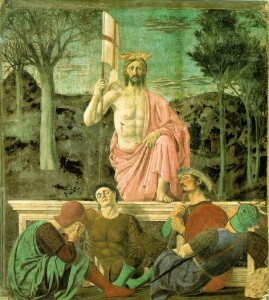 The point of the resurrection . . . is that the present bodily life is not valueless just because it will die. . . What you do with your body in the present matters because God has a great future in store for it . . . What you do in the present—by painting, preaching, singing, sewing, praying, teaching, building hospitals, digging wells, campaigning for justice, writing poems, caring for the needy, loving your neighbor as yourself—will last into God’s future. These activities are not simply ways of making the present life a little less beastly, a little more bearable, until the day when we leave it behind altogether (as the hymn so mistakenly puts it . . . ). They are part of what we may call building for God’s kingdom. N.T. Wright, Surprised by Hope: Rethinking Heaven, the Resurrection, and the Mission of the Church (New York, HarperOne, 2008). 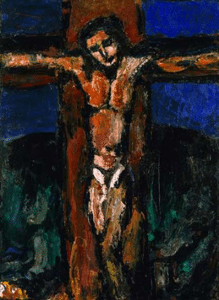 This entry was posted in Easter, N. T. Wright, Resurrection, Second Coming and tagged Easter, N. T. Wright, Resurrection, Second Coming of Christ on September 21, 2011 by GlennDavis. 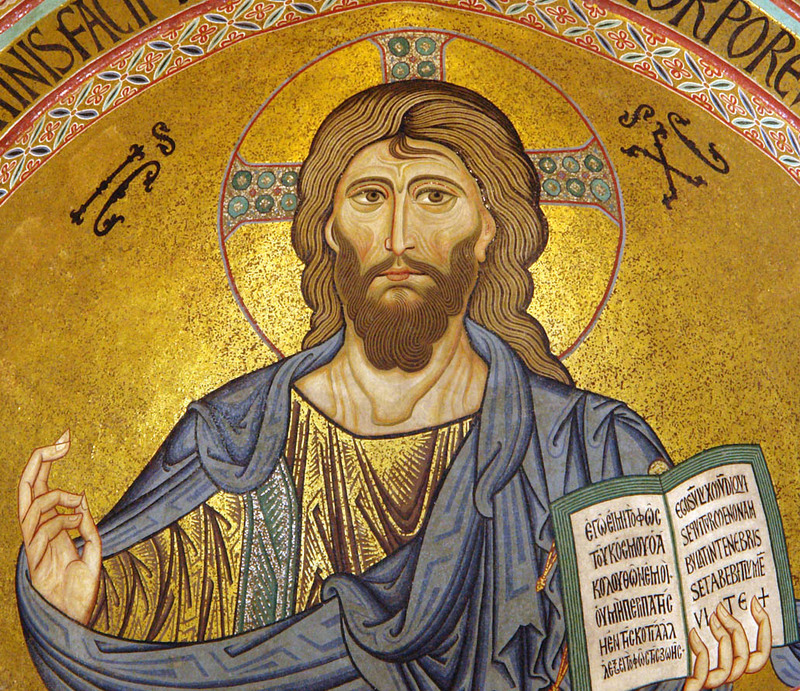 Anyone encountering anti-Christian polemics will quickly come up against the accusation that a major festival practiced by Christians across the globe-namely, Easter-was actually borrowed or rather usurped from a pagan celebration. I often encounter this idea among Muslims who claim that later Christians compromised with paganism to dilute the original faith of Jesus. Read the rest of the essay on the ChristianHistory.net blog. This entry was posted in Easter, Resurrection and tagged Easter, Resurrection on April 24, 2011 by GlennDavis. Three Full Days and Nights? Scripture clearly predicted in Matthew 12:40 “For as Jonah was three days and three nights in the heart of the earth, so the Son of Man will be three days and three nights in the heart of the earth” (cf. Jonah 1:17). But if our Lord was crucified on “Good Friday,” that would not leave 72 hours (24 hrs. x 3 days and nights =72), but instead probably something more like 38 hours for our Lord to be in the tomb (Friday afternoon til midnight, 7-9 hours + Saturday 24 hrs. + four or five hours on Easter Sunday morning = 36-38 hours total. That certainly does not equal three full days and three full nights of 72 hours. However, notice I inserted the words “full” in each case, which of course is the way a Westerner would take a statement like “three days and three nights,” but Scripture did not use this expression in the same way some of us might use it. However, what we miss is the fact that “three days and three nights” was a stereotypical phrase that allowed the full day and night to be counted when any part of that time was included. For example, 1 Samuel 30:12 has the same formula of “three days and three nights” used by the Egyptian, whom David found as he was pursuring the Amalekites, who had captured and made off with all the women, children and elderly people David had left in his temporarily adopted home of Ziklag. The Egyptian turned out to be a slave to an Amalekite, who abandoned him when he became ill “three days ago” (1 Sam 30:13). The words translated by the NIV as “three days ago,” literally translated from the Hebrew read: “Today is the third [day]” (Hebrew: hayyom sheloshah). Thus, he too used the “three days and three nights” stereotype formula, but clearly he did not mean three full days and three full nights, for on that very day, it was only day three! Therefore, in accordance with this example and several others in Scripture, a part of a day, night, or year could be counted as a full day or night or year. Likewise, Solomon’s navy was gone for three years (1 Kings 10:22), but it becomes clear that any part of a year counted as one year; thus his ships left about the fall of the year, were gone all the next year and returned in the third year about Passover time. Therefore, it is not necessary to move the crucifixion back to “Good Wednesday” or “Good Thursday” in order to account for the 72 hours. This entry was posted in Easter, Resurrection and tagged Easter, Resurrection, Walter Kaiser on April 18, 2011 by GlennDavis. As a canon theologian and thirty years a pastor, I am periodically asked about Paul’s unusual one time reference to a baptism for the dead (1 Cor. 15:29). Just this week a good friend asked me questions about this most cryptic of passages. Many explanations can be found in various commentaries and sermons, some helpful, some not. Let’s look at the context for the passage first by examining the subject that Paul is addressing in chapter fifteen: the resurrection of the dead. When Christ returns, he will raise from the dead the bodies of all believers who have died in Christ since the beginning of time (1 Thes. 4:15-18). Jesus will reunite these bodies with their souls (spirits) which have been residing in heaven (Phil. 1:21, Dan. 12:2-3). Also, he will change the bodies of all those believers who are alive, giving them glorified bodies. Therefore, all believers from all time will have perfect resurrection bodies just like their Savior. The resurrection of the dead is the final work of God in applying Christ’s work on the Cross to our lives and to creation (1 Cor. 15:50-57). The doctrine of the resurrection of the dead was difficult for first century Greek believers to grasp. Greek culture taught that the body (i.e, material) was bad and that only spiritual things were good. For the Greeks, one strived to leave this body and be immersed into the full experience of the spirit realm. Death meant release from this miserable existence (i.e., body). Yet, the Apostle Paul teaches a Hebraic Christian worldview: God created all things and that these things, though fallen, are good (Gen. 1:31). The body matters to God to such a degree that at the second coming our bodies will be renewed (i.e., glorified) and reunited with our spirits who have gone before. In other words, material matter matters to God. The Corinthians could not grasp this truth and rejected the doctrine of the resurrection. In chapter fifteen, Paul argues that if the Corinthian church rejects this truth, then they are rejecting the essence of Christianity. “And if Christ has not been raised, then our preaching is in vain and your faith is in vain” (1 Cor 15:14). 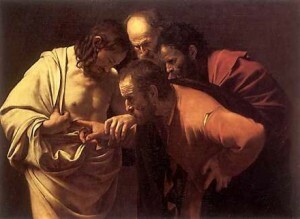 As a way of furthering his argument, Paul asks, “If no resurrection, then why are you baptizing for the dead?” (1 Cor. 15:29). Why bother with a sacrament that expresses in its fullest sense the resurrection, when you do not believe the truth of it. This is our context, now let us look at the particulars. Questions abound about what Paul meant. Are the dead here physically dead? Are they believers or unsaved family and friends? Maybe they are not physically dead at all, but spiritually dead? (Eph. 2:1). Is Paul referring to the normal practice of Christian baptism? Or something else? Paul’s own writings can give us some insight into what he meant. In Corinthians, dead is always refers to those who have physically died. In Paul, baptism is tied to resurrection (Rom. 6:3-5) and is the initiatory rite for becoming a member of the church. Baptism is always accompanied by faith in the writings of Paul. Paul would not have allowed a Mormon substitutionary baptism for dead relatives. No historical evidence exists that before Paul individuals were being baptized as a proxy for someone who had passed from this life. 15:29–34: Paul points out that the resurrection gives men compelling incentives for salvation (v. 19), for service (vv. 30–32), and for sanctification (vv. 33, 34). 15:29: This difficult verse has numerous possible interpretations. Other Scripture passages, however, clarify certain things which it does not mean. It does not teach, for example, that a dead person can be saved by another person’s being baptized on his behalf, because baptism never has a part in a person’s salvation (Eph. 2:8; cf.Rom. 3:28; 4:3; 6:3, 4). A reasonable view seems to be that “they . . . who are baptized” refers to living believers who give outward testimony to their faith in baptism by water because they were first drawn to Christ by the exemplary lives, faithful influence, and witness of believers who had subsequently died. Paul’s point is that if there is no resurrection and no life after death, then why are people coming to Christ to follow the hope of those who have died? John MacArthur, ed., The MacArthur Study Bible, electronic ed. (Nashville, TN: Word, 1997), 1 Cor. 15:29. 15:29: Biblical doctrine should not be built on any verse as difficult and obscure as this one. Since baptism does not save us, being baptized in the place of those who are already dead cannot be of benefit to anyone. The interpretation of this difficult verse yields to an understanding of the Greek preposition huper. Usually, the word means “over” or “instead of.” But there are times when the only interpretation possible is “concerning.” In John 1:30, John the Baptist says, “This is He of [huper,concerning] whom I said … ” The same applies here: the interpretation should be “concerning the dead.” The idea is that Christian baptism concerning death and the promise of resurrection is a meaningless ordinance unless the resurrection is a reality. This interpretation certainly fits well with the context. W. A. Criswell, ed., Believer’s Study Bible, electronic ed. (Nashville, TN: Thomas Nelson, 1997), 1 Cor. 15:29 . This entry was posted in Resurrection and tagged Baptism for the Dead, Resurrection, Resurrection of the Dead on March 24, 2011 by GlennDavis. The doctrine of the Resurrection of the Dead (also called Glorification) will happened when Christ returns, he will raise from the dead the bodies of all believers who have died in Christ since the beginning of time (1 Thes. 4:15-18). Jesus will reunite these bodies with their souls (spirits) which have been residing in heaven (Phil. 1:21, Dan. 12:2-3). Also, he will change the bodies of all those believers who are alive, giving them glorified bodies. Therefore, all believers from all time will have perfect resurrection bodies just like their Savior. The resurrection of the dead is the final work of God in applying Christ’s work on the Cross to our lives and to creation (1 Cor. 15:50-57). There are very few Christians who believe the resurrection of the dead. You may be surprised to hear that, but I should not wonder if I discovered that you yourself have doubts on the subject. By the resurrection of the dead is meant something very different from the immortality of the soul: that, every Christian believes, and therein is only on a level with the heathen, who believes it too. The light of nature is sufficient to tell us that the soul is immortal, so that the infidel who doubts it is a worse fool even than a heathen, for he, before Revelation was given, had discovered it—there are some faint glimmerings in men of reason which teach that the soul is something so wonderful that it must endure for ever. But the resurrection of the dead is quite another doctrine, dealing not with the soul, but with the body. The doctrine is that this actual body in which I now exist is to live with my soul; that not only is the “vital spark of heavenly flame” to burn in heaven, but the very censer in which the incense of my life doth smoke is holy unto the Lord, and is to be preserved for ever. The spirit, every one confesses, is eternal; but how many there are who deny that the bodies of men will actually start up from their graves at the great day! Many of you believe you will have a body in heaven, but you think it will be an airy fantastic body, instead of believing that it will be a body like to this—flesh and blood (although not the same kind of flesh, for all flesh is not the same flesh), a solid, substantial body, even such as we have here. And there are yet fewer of you who believe that the wicked will have bodies in hell; for it is gaining ground everywhere that there are to be no positive torments for the damned in hell to affect their bodies, but that it is to be metaphorical fire, metaphorical brimstone, metaphorical chains, metaphorical torture. But if ye were Christians as ye profess to be, ye would believe that every mortal man who ever existed shall not only live by the immortality of his soul, but his body shall live again, that the very flesh in which he now walks the earth is as eternal as the soul, and shall exist for ever. That is the peculiar doctrine of Christianity. The heathens never guessed or imagined such a thing; and consequently when Paul spoke of the resurrection of the dead, “Some mocked,” which proves that they understood him to speak of the resurrection of the body, for they would not have mocked had he only spoken of the immortality of the soul, that having been already proclaimed by Plato and Socrates, and received with reverence. C.H. Spurgeon, “The Resurrection of the Dead,” preached Sunday morning, 17 February 1856, New Park Street Chapel. This entry was posted in Resurrection and tagged Resurrection on April 22, 2010 by GlennDavis.